Editor's note:Today’s guest blogger is Milt Baker, CEO at Blue Water Satellite. BWS is the leading provider of algorithmically enhanced satellite images that identify the presence and concentrations of minerals, vegetation, chemical and biological constituents on land and in water. See how other forward-thinking organizations are investing in mapping technology and transforming their business: Maps are Going Google. 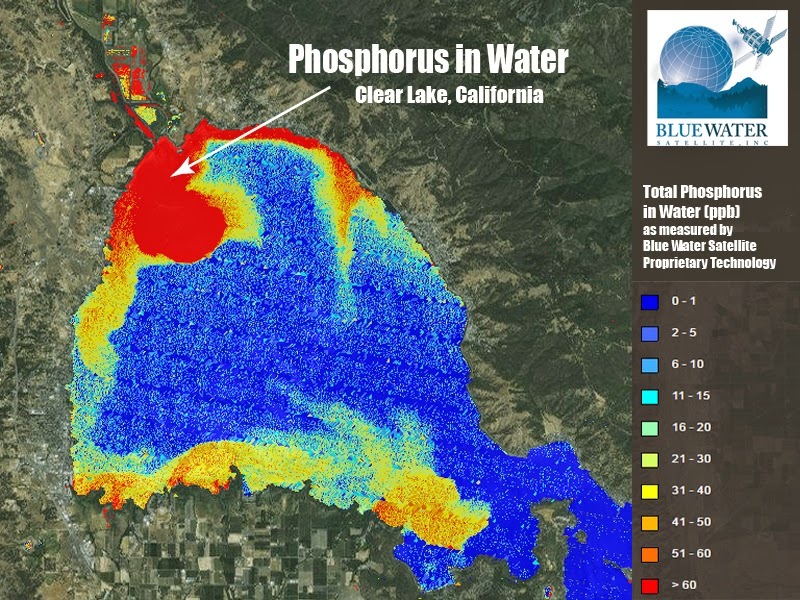 At Blue Water Satellite (BWS) we use satellite imagery to monitor the world's land and water resources. Our goal is to change the way these resources are managed by helping our customers get detailed, real-time data about the minerals, vegetation and chemical constituents on land or in water, anywhere in the world. We’re doing it better and faster now that we we’re using Google Earth Engine and Maps Engine to automate the image-serving process. Our customers need accurate, digital information about the resources in a particular area. For instance, power plants use our imagery to measure water effluent temperature and ensure they’re complying with cooling regulations. Previously, an engineer would have to travel to take manual samples and send them back to the lab for testing. This provided information about a finite area, but didn’t show what was happening in the entire region over time. Our imaging technology makes it possible to get that data without having to get in a boat or car, take samples, then wait for the results. The richness of our satellite imagery provides valuable information to our customers, but poses a challenge when it comes to delivering data at scale. After being quoted hundreds of thousands of dollars for a single software product that would automatically process and serve our images, we asked one of our engineers to investigate Google Earth Engine. Using Earth Engine, within three days we had figured out how to integrate the functionality we previously got from multiple products in a unified, high-speed, cloud-based solution. Soon we were processing and delivering our imagery using Earth Engine, without buying expensive hardware and software licenses, or training people to use the software. Using Google Earth and Maps Engine, BWS can deliver processed images to customers seamlessly formatted for any browser-enabled device — desktop, smartphone, tablet — anywhere in the world. In addition to being familiar and easy-to-use, Google Maps imagery is rich in detail and comprehensive. Google has archived historical shots going back to 1984, which means our customers can see how resources have changed over time and note degradation trends. Google also provides ancillary data, so we can see the names of buildings and other physical objects that are in and around the water and land sites. With nano-satellites, drones and hyperspectral cameras on the horizon, we’re excited for the future of mapping. Google Earth and Maps Engine are very much a part of that vision too, giving us and our customers the processing power we need to improve the way we use data and solve resource issues on earth.